Not yet a VIC customer? for info on how to Join and SAVE! At Lifelong, customer satisfaction is our top priority. That's why we work hard to understand both your business and its needs. So you get the personalized customer support you both deserve and can depend on. We also offer a host of resources right online. If you need to order an item after hours here's the place to look! 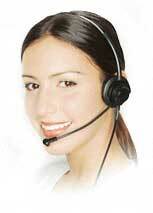 Our store is standing by to assist you, 24 hrs per day, 7 days per week. Explore the opportunities for becoming a Lifelong Factory Direct Liaison/Distributor! Keep your current job and become a Lifelong Factory Direct Liaison/Distributor for additional income! As a Factory Direct Liaison Your Center is entitled to even deeper discounts!